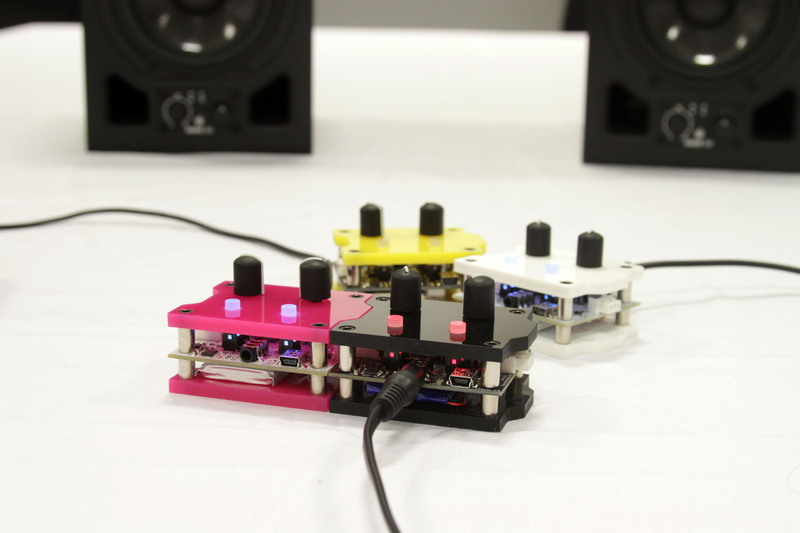 Patchblocks’ creator says he wanted this hardware sound construction set to be like a combination of Max, Arduino, Moog, and LEGO. And in a novel, crowd-funded project, you get a set of units that seem very much like that. 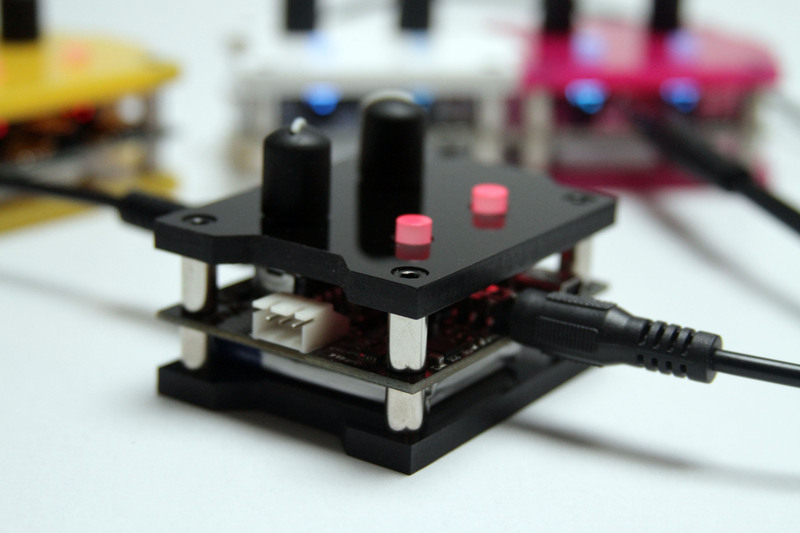 “Modular” is the angle, like a variety of hardware we’ve seen lately. And the Patchblocks satisfyingly snap together via puzzle piece-shaped interlocks in acrylic. But perhaps the real story here is that each of these “blocks” can be programmed to do what you want, not in code, but using a Max/Pd-style visual patching interface. 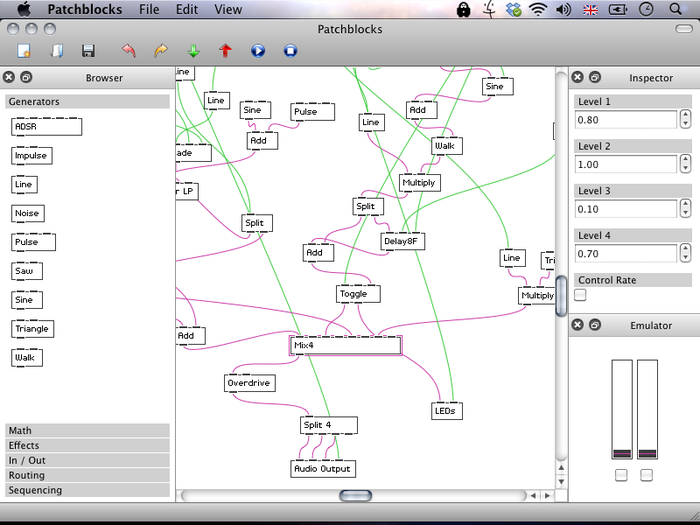 With just one block, in fact, Patchblocks are modular. Maybe you want a simple synth. Maybe you want to add effects (delays, filters, distortion). Maybe you want a sequencer. Even before you combine those blocks, you can reimagine the Patchblocks’ purpose. They’re lo-fi, but good fun, covering a range of chippy, classic timbres. 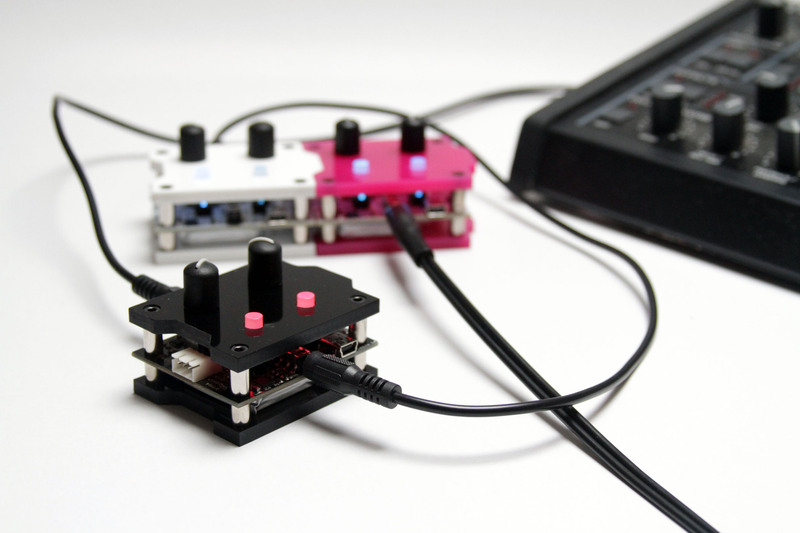 Put them together, and the blocks seamlessly stream audio and control, combining sequencers with synths with drums. The video is very, very impressive – little wonder that, even with over-saturated crowd funding projects these days, it’s getting wide support. 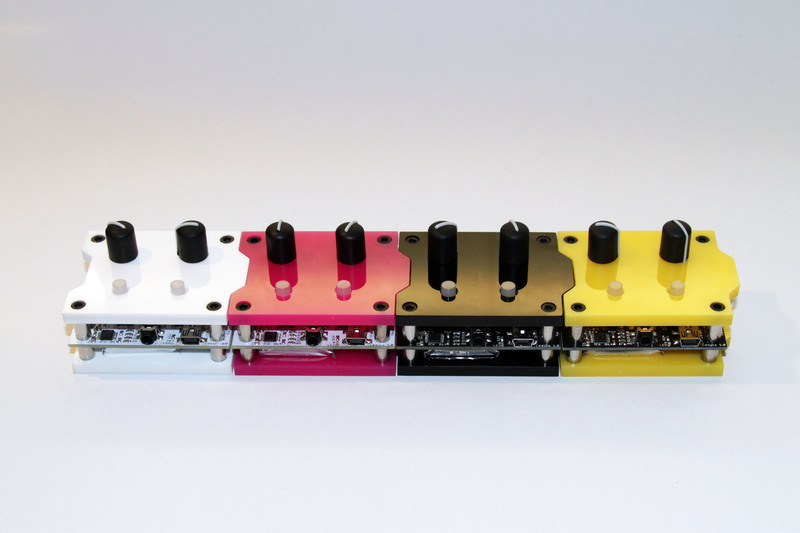 You might have heard about another project having something to do with modular. All I can say is, you know, CDM is typically in touch directly with manufacturers, so I imagine if there were such a project, we would probably cover it in detail as soon as we were allowed to do publicly. Just speculating. I might also speculate that Patchblocks is unlike anything else I’ve seen going into production, rumored or otherwise, so worth looking at individually. -Ed. The Belfast, Northern Ireland-based Heinz is only in the second day of the announcement, but aiming for a 1000-unit run – and well on his way. 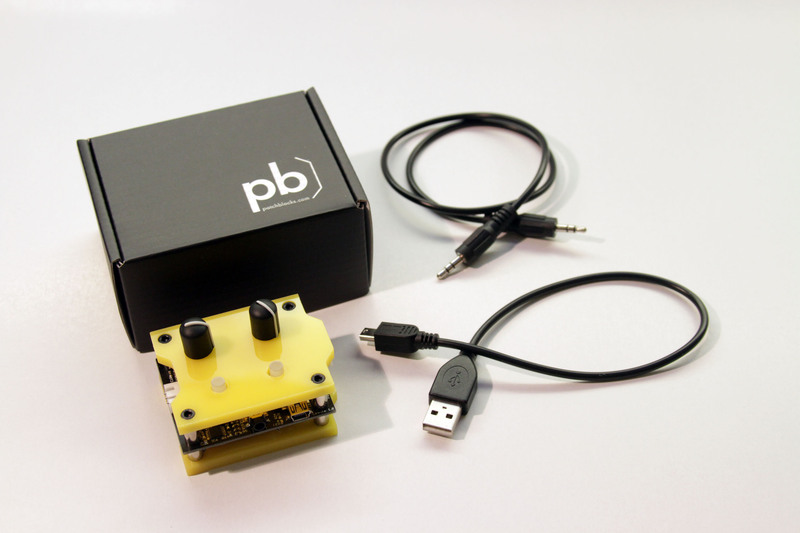 I’ve just received a set of Patchblocks for review, so stay tuned for some hands-on. We have some additional images and specs in the meantime. I’d love to see a complete enclosed housing; perhaps that can happen in a future run. But the cases in the meantime look functional enough. In fact, the only real catch is lead time. February is when most of the run will ship, though early adopters still have a chance to get them as soon as December (for a bit of extra scratch). They are, however, very affordable – GBP30 gets you a unit, so even this four run set runs only 120 pounds, which I think is not so bad from a small manufacturer. Patch on your computer screen, then upload compiled code to the Patchblocks. It’s like instant hardware from a Max/Pd-style patch (with some very approachable, simple building blocks). And if you want in, you’ve got a month left. Belfast has a lovely music scene going, including one of my favorite artists, Boxcutter. Look forward to hearing what Boxcutter is doing with these (yep, he’s got them). And we’ll find out what I’m doing with them shortly. More soon.